Inovenso's best-selling model with more than 50 units installed in renowned universities and companies around the globe. 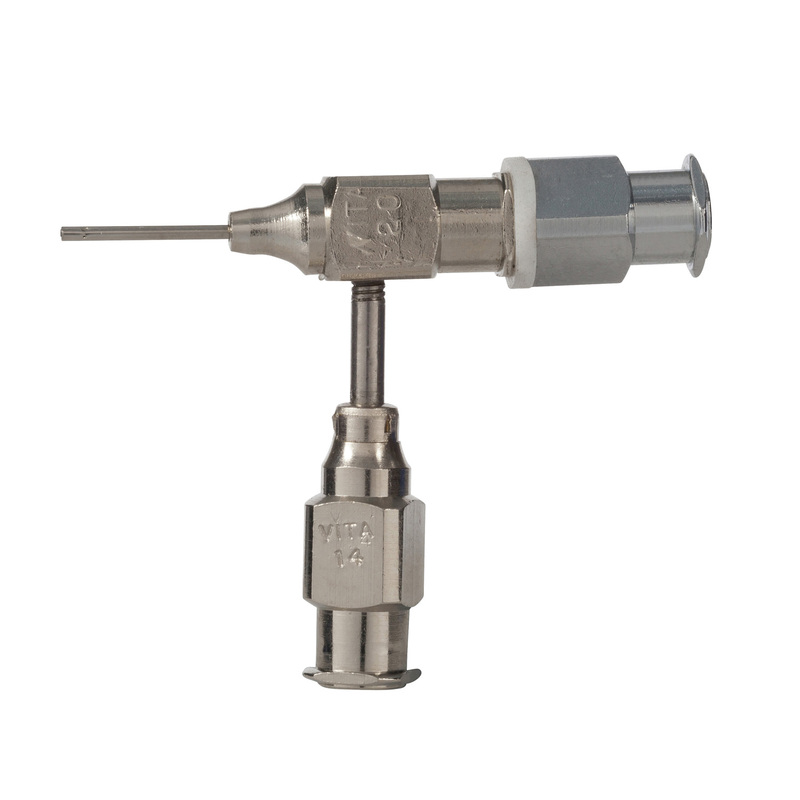 Compatible for a wide range of applications area: Bio-medical, Filtration, Cosmetics and more. 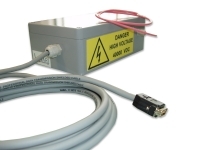 Spraybase® 20kV Power Supply Controller which has a single voltage output range of 0 V to 20 kV (positive) Multi Turn Control for accurate Voltage Setting and a Large Clear Display. Spraybase® Imaging System which is a camera capable of viewing and recording the Taylor cone. Note this product requires a Laptop/PC which is not included. Spraybase® Syringe Pump includes a software licence - note licences are single use only and not transferable between devices. This combination kit is ideal for electrospining and electrospraying with 2 sources for delivering your chosen fluid. The fluid delivery is ideal for low viscous solutions providing you with an ideal constant flow which enhance reproducibility and collection of mono-dispersed particles. 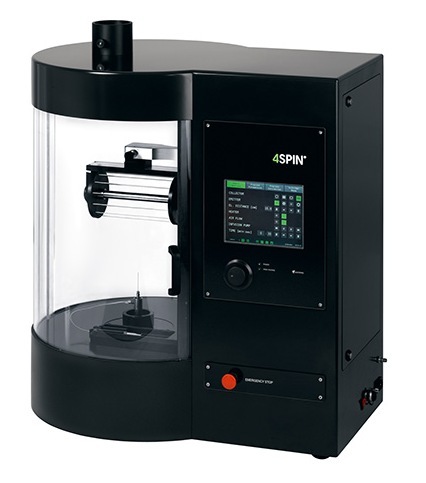 The Contipro 4SPIN LAB is a desktop electrospinning device used in the nanofiber production and the preparation of nanofiber layers from solutions of biopolymers and synthetic polymers. Starter Kit with a 40kV HV generator to start the electrospinning of nanofibers in one hour. 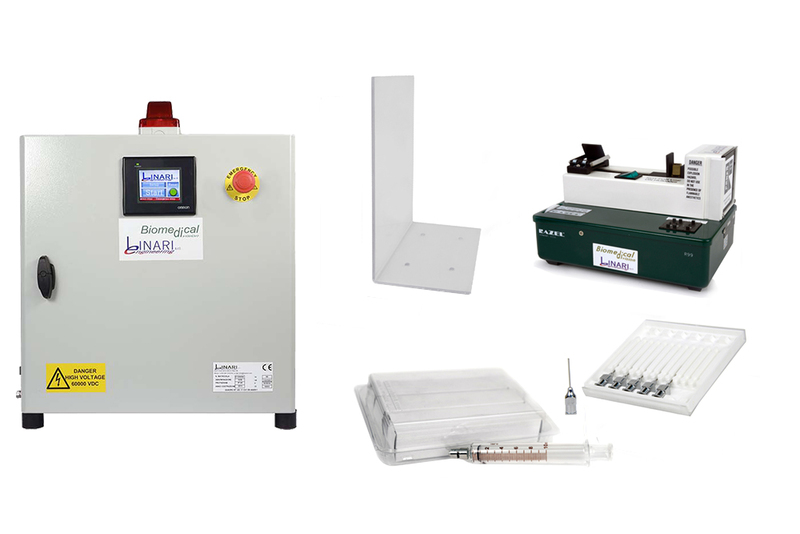 Starter Kit with 60KV HV generator for high volume production of nanofibers. 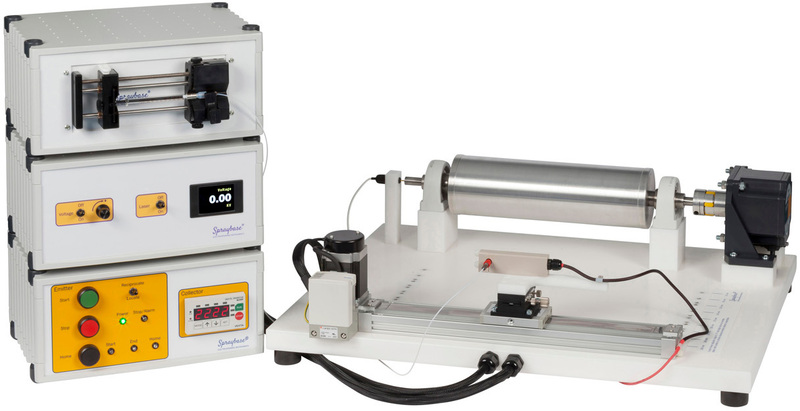 Nanospinner Pilot Line Semi Industrial Electrospinning Machine is designed for precise product development processes in semi industrial scales. The best solution for productions of ultra-high quality nanofibers. 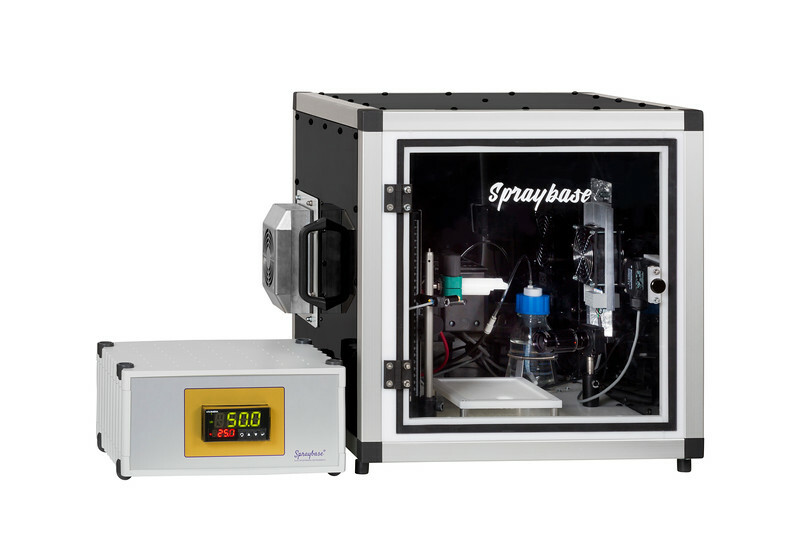 The Spraybase® Climatic Controlled cabinet is a chamber where a chosen temperature and relative humidity can be set and maintained. This is achieved through the use of a heater, cooler, humidifier and dehumidifier which are integrated into the enclosure and controller. This kit enables users to deliver two different solutions independently and simultaneously to the co-axial emitter to create the core- sheath fiber or particle required. 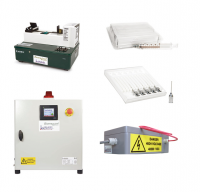 It includes a combination of Spraybase software controlled syringe pumps and/or Spraybase pressure over fluid system to deliver the various solutions along with a high voltage power supply with a single voltage output up to 20 kV (positive). This kit enables users to deliver three different solutions independently and simultaneously to the tri-axial emitter to create the core- sheath fiber or particle required. It includes a combination of Spraybase software controlled syringe pumps and Spraybase pressure over fluid system to deliver the various solutions along with a high voltage power supply with a single voltage output up to 20 kV (positive). If aligned fibers is what you particular area of research requires then Spraybase® rotating drum collector is ideal. 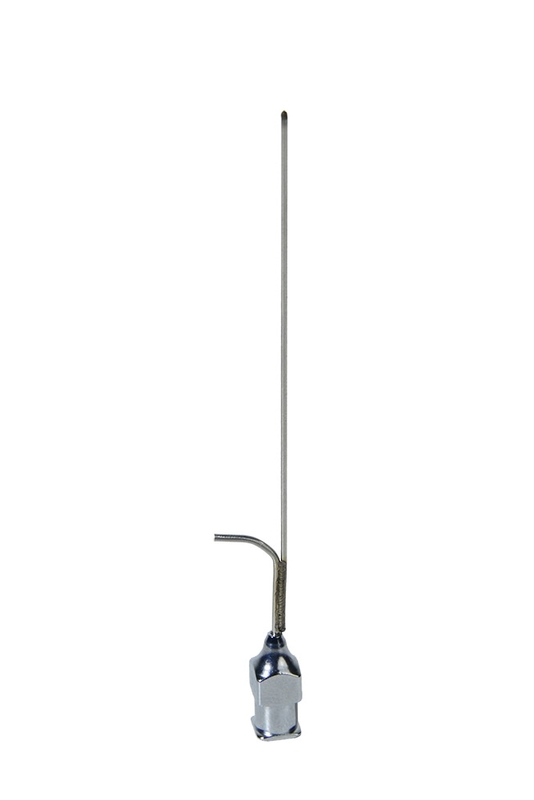 The rotating drum collector is precision engineered and is dynamically balanced to G6.3 standard. INTRODUCING A NEW TRANSLATIONAL STAGE! This includes a set of mandrel collectors, controller and stage. 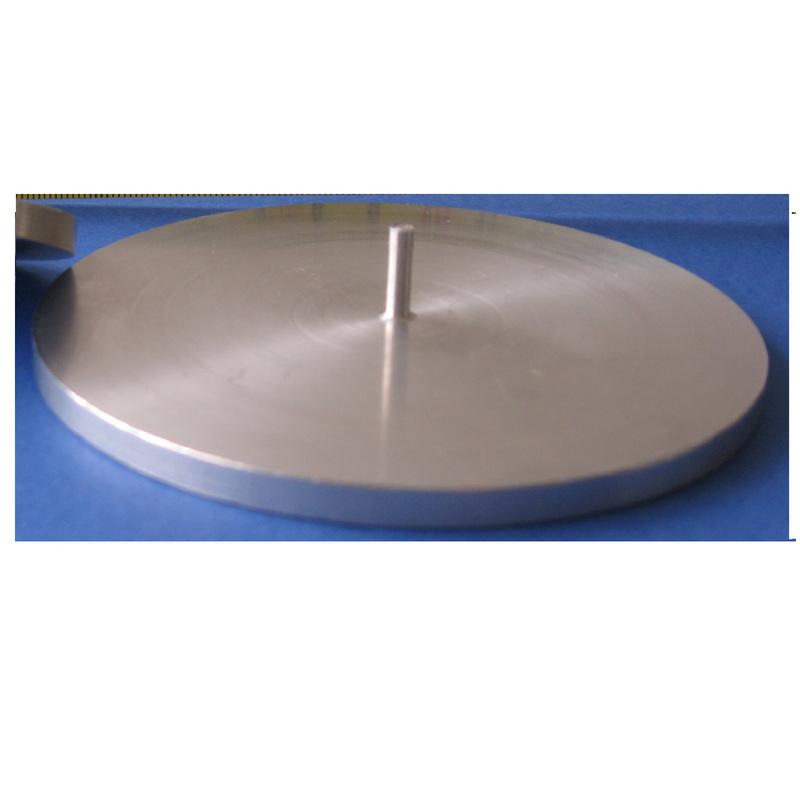 The rotating mandrel collector set is interchangeable with our standard flat plate collector and other collectors. Includes 4 mandrels, 1 each of 3, 4, 5 and 6 mm. 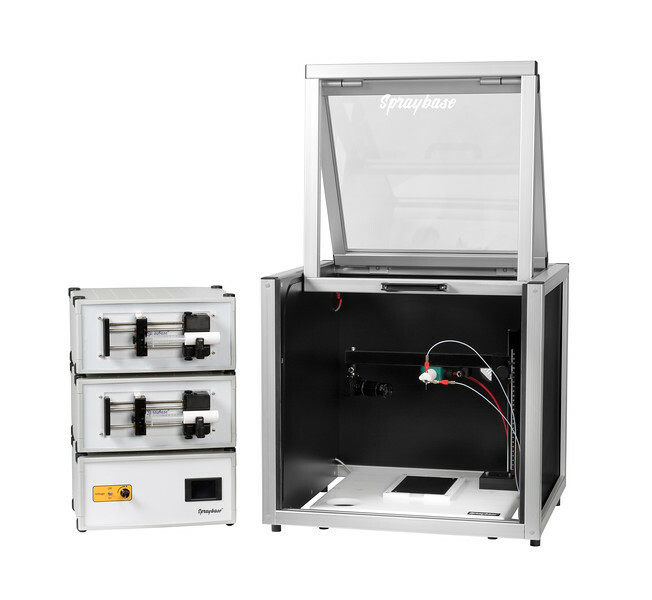 The Spraybase® platform can be modified to enable electrospraying or electrospinning on to Parallel Plates for aligned fiber collection. 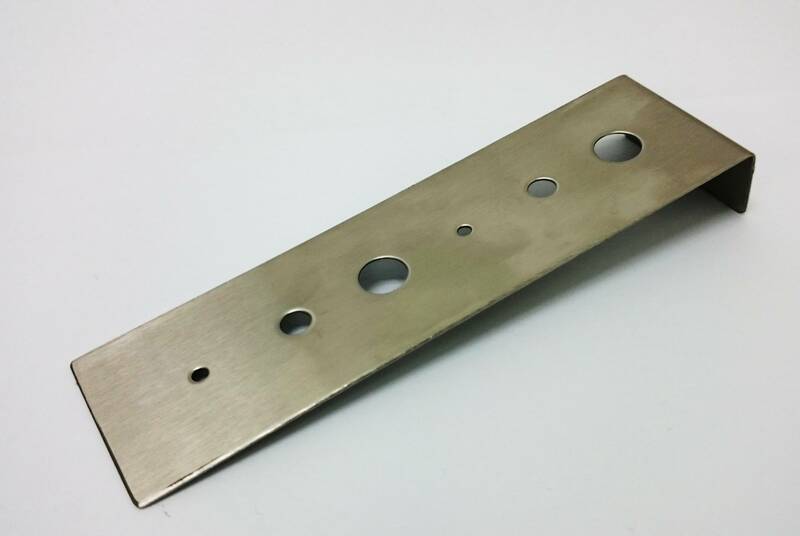 Consists of two 2 mm thick aluminium plates with adjustable separation. Made of Aluminum and interchangeable. 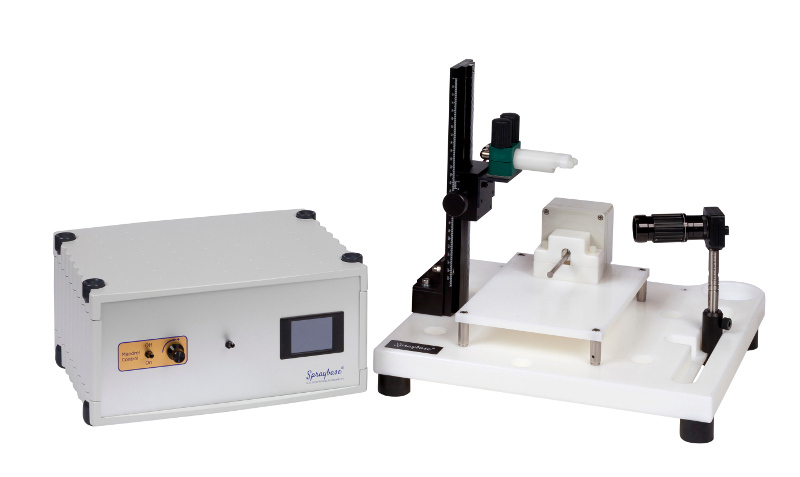 Rotating collector module for your electrospinning system. 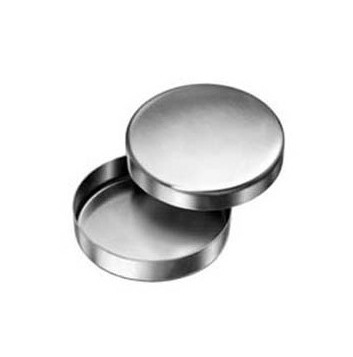 Purpose designed 90mm circular stainless steel collector with lids for electrospraying or spinning. Collect fibres or particles. Autoclave, reusable and durable for everyday use. ramé-hart fabricates a variety of custom coaxial and triaxial needles for a wide spectrum of special applications. 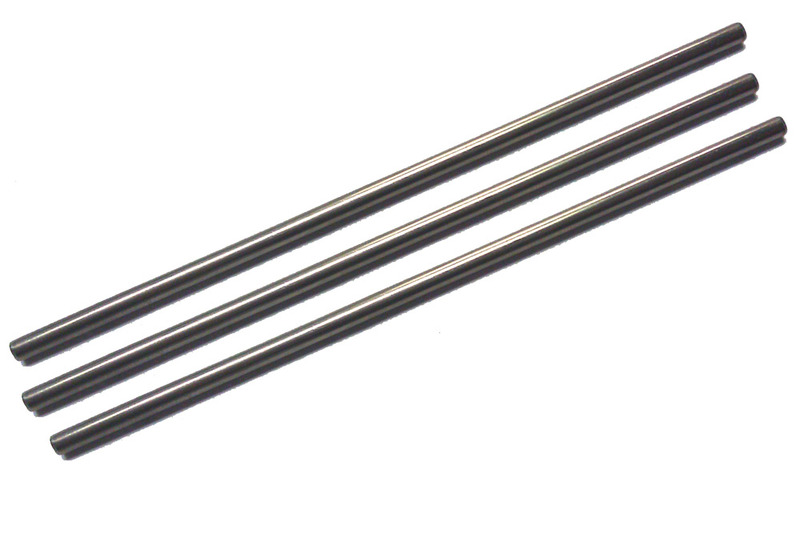 Coaxial and triaxial needles (sometimes called spinnerets) are used for electrospinning and electrospraying applications. The needles have excellent electrical conductivity. Note that the coaxial needle is often referred to as a coaxial cone when used in electrospinning and electrospraying applications due to the cone observed at the tip where fiber is drawn out from what is referred to as the "Taylor cone". The coaxial needle is also called a coaxial spinneret or electrospinning emitter. 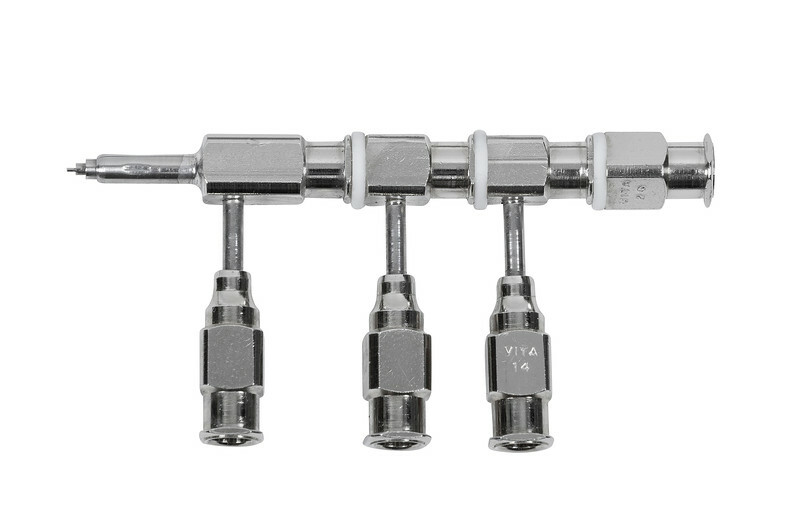 Shafting is precision Type 304 Stainless Steel while the Luer connector is nickel and chrome-plated brass. These needles are autoclavable; they can be cleaned, washed, boiled, sterilized, and reused many times. 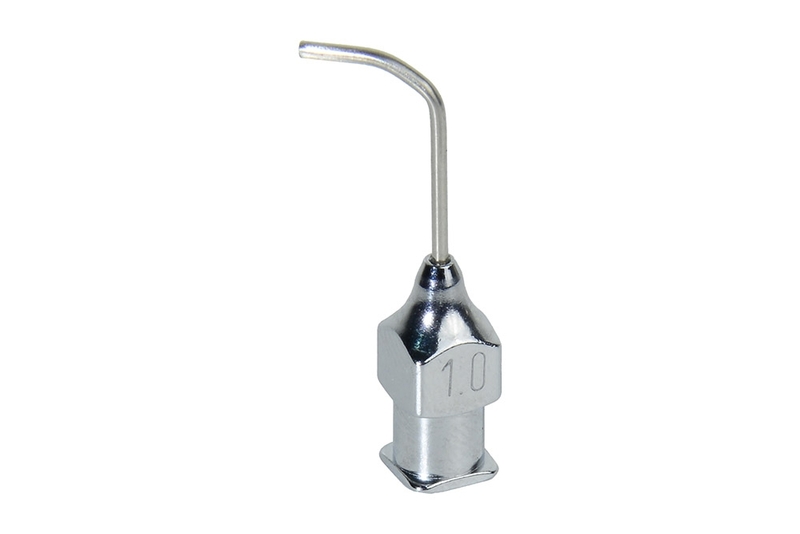 Many options and tubing sizes are available to fit any application. 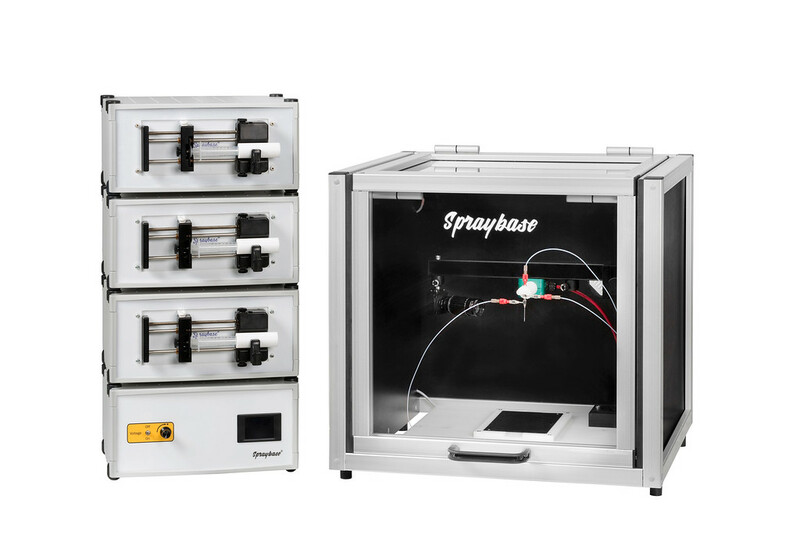 Spraybase® offers custom coaxial needles and Quick Start Co-Axial Electrospinning Needle for electrospinning and electrospraying applications. The needles have excellent electrical conductivity. Note that the coaxial needle is often referred to as a coaxial cone when used in electrospinning and electrospraying applications due to the cone observed at the tip where fiber is drawn out of the Taylor cone. 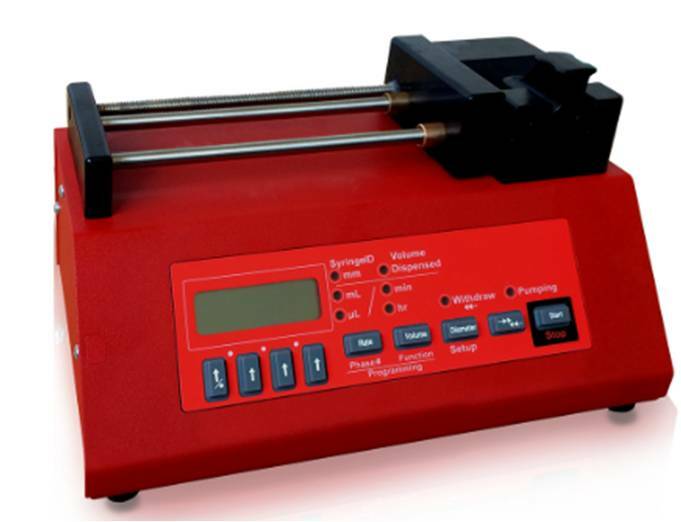 The Quick Start Co-Axial Electrospinning Needle comprises of a standard 20 gauge outside, 26 gauge inside needle. Inside and outside needles are the same length at 10mm from the hub. 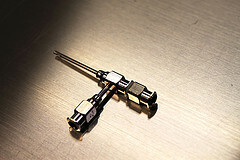 Shafting for our custom coaxial needles is precision Type 304 Stainless Steel while the Luer connector is nickel and chrome-plated brass. These needles are autoclavable; they can be cleaned, washed, boiled, sterilized, and reused many times. Many options and tubing sizes are available to fit any application. Use the co-axial worksheet to easily complete your order. 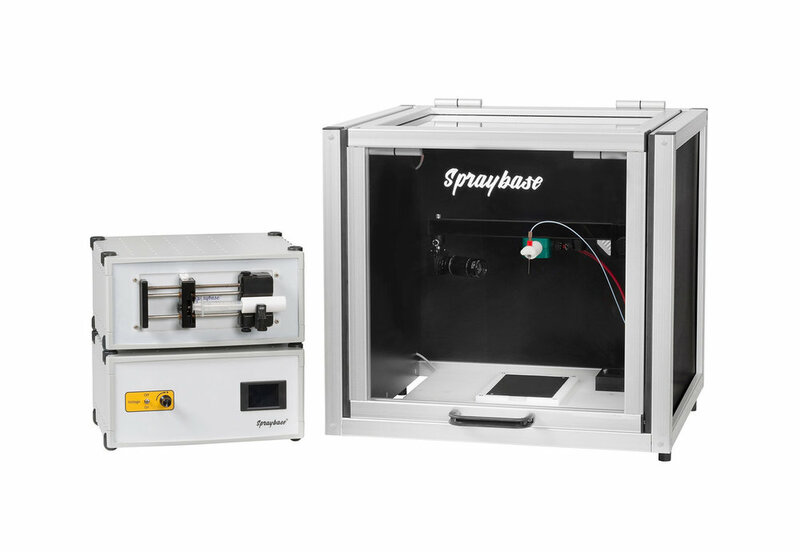 Spraybase® offers custom Tri-axial needles for electrospinning and electrospraying applications. The needles have excellent electrical conductivity. Note that the Tri-axial needle is often referred to as a cone when used in electrospinning and electrospraying applications due to the cone observed at the tip where fiber is drawn out of the Taylor cone. 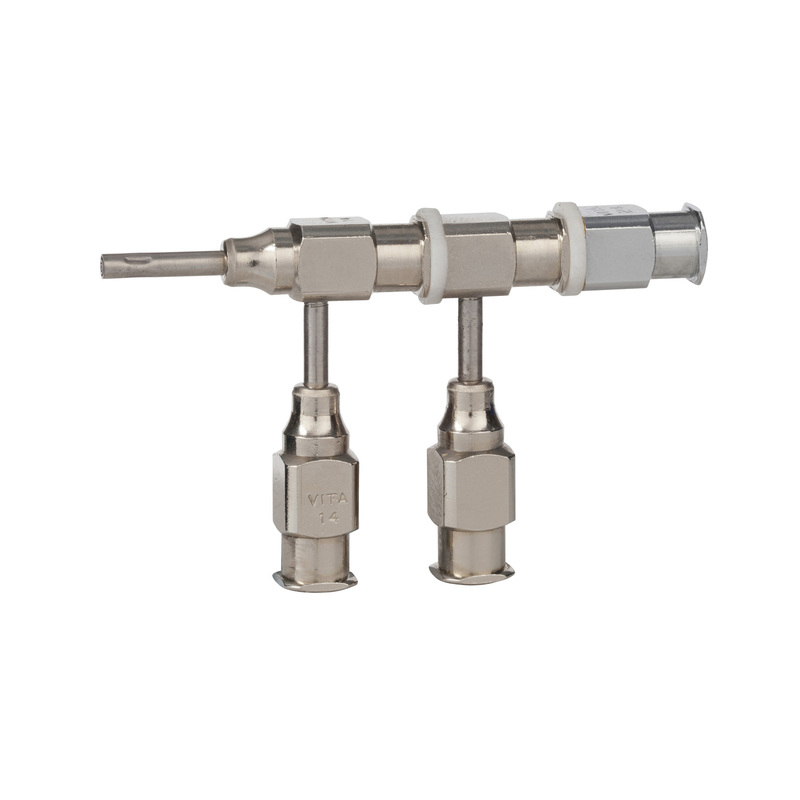 Shafting is precision Type 304 Stainless Steel while the Luer connector is nickel and chrome-plated brass. These needles are autoclavable; they can be cleaned, washed, boiled, sterilized, and reused many times. Many options and tubing sizes are available to fit any application. Use the Tri-axial worksheet to easily complete your order. 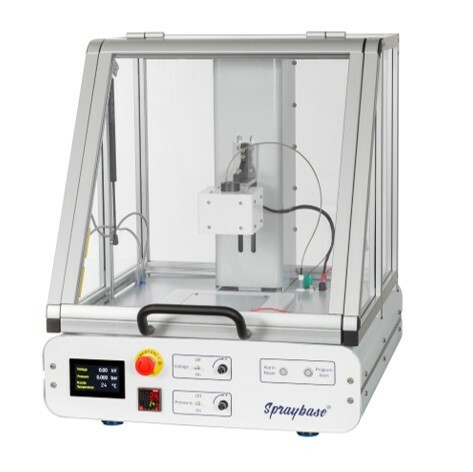 Spraybase® offers custom needles for electrospinning and electrospraying applications. The needles have excellent electrical conductivity. Shafting is precision Type 304 Stainless Steel while the Luer connector is nickel and chrome-plated brass. These needles are autoclavable; they can be cleaned, washed, boiled, sterilized, and reused many times. Many options and tubing sizes are available to fit any application. PVC tubing kit with Luer Lock M/F ends - different lengths 10pcs. 2 Tubings (1x Tube E-0.8mm and 1x tube F-1.0mm ). Quick Start Co-axial Emitter with standard 20 G outside and 26 G inside. The inside and outside needles are the same length at 10mm from the hub. Choice of 2 x Tubing including Luer Locks. 20kV Power Supply Unit, CE Mark, Multi-turn Control for accurate voltage setting, Large Clear Display Screen. 30kV Power Supply Unit, CE Mark, Multi-turn Control for accurate voltage setting, Large Clear Display Screen. 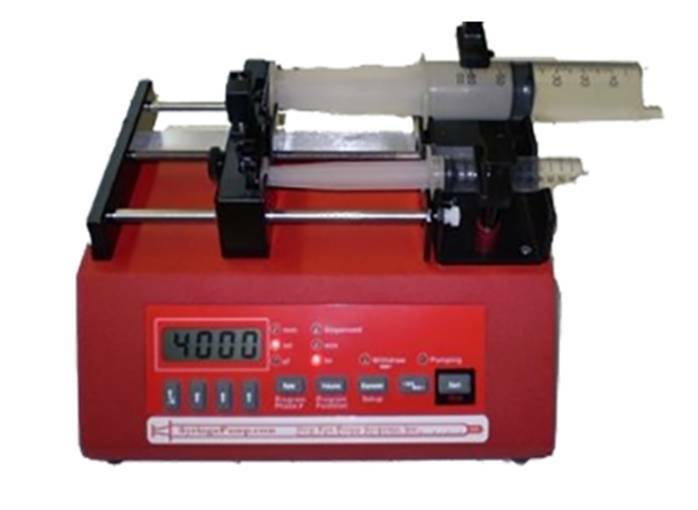 The syringe pump modules are software controlled and allow the user to control the flow rate with infusion rate of 0.75 µl/hr to a maximum 2100 ml/hr. Maximum syringe size is 60 cc. These syringe pump modules are designed to be stacked on high voltage modules or with multiple other syringe pump modules for co-axial and tri-axial spinning. Verify that your electrospinning is producing fibers, onsite, in less than a minute. Fiber verification for any electrospun material. Compatible with any flat plate collector setup.